Channel 5 has confirmed that Kelly Cates and George Riley will host the new Football League Tonight show, which will provide free-to-view highlights from the Football League. Both presenters are familar voices on BBC Radio 5 Live and other broadcast outlets. Kelly Cates was also part of the Sky Sports News launch team and went on to report on the 2010 FIFA World Cup for ITV, the London 2012 Paralympics for Channel 4. George Riley has been a regular on BBC Breakfast and BBC Radio 5 Live. Launching on Saturday 8th August at 9:00pm, Football League Tonight promises to bring every goal from all three divisions of the Sky Bet Football League. Channel 5 says that Football League Tonight will continue in weeks where there is no Sky Bet Championship programme. It says the show will "provide a special focus on the very best games in Sky Bet League 1 and Sky Bet League 2." 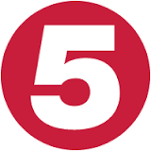 Barring any last minute surprises, the highlights will only be available in standard definition on free-to-air platforms; Channel 5 HD is currently locked away in a pay TV carriage deal.